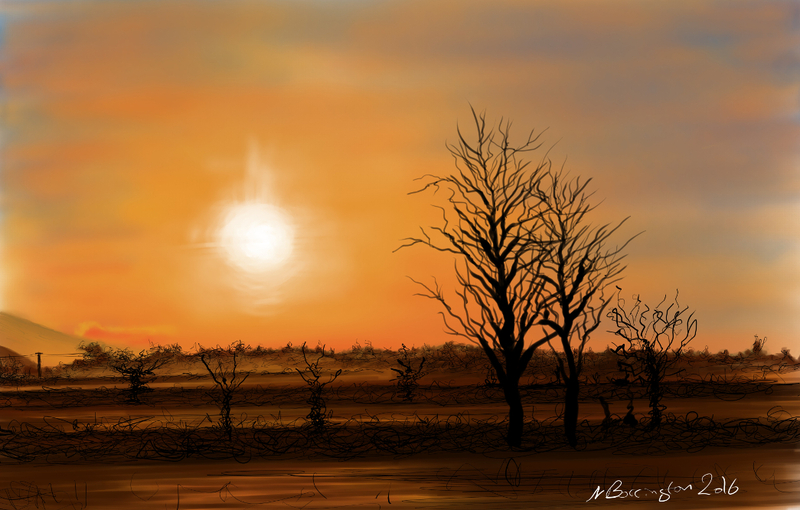 This painting is created using a PC application called mypaint, I have spent the last few weeks doing my best to get up to speed with how to make the best use of it, at first just using some of the drawing tools and ink pens but as you can see – I hope that I am now getting more use to the painting and colour tools.. The paint is posted the moment I feel its finished , I very much like the idea of this as it helps me to close the processes involved and to stop me coming back and over working anything. Its a little hard to describe but its a great feeling to start and finish a painting in one session and then be able to learn when you feel that you have finished !! !